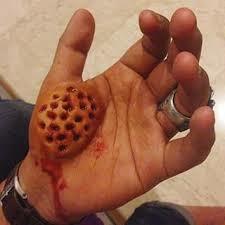 The fear of holes, trypophobia is a type of phobia where the patient is afraid or rather irritated by clustered and irregular pattern of holes. I, along with 15% of the world’s population are said to be trypophobic, so you’re not alone! (if that makes you feel any better). Trypophobia was rumored to have been identified just 2005 making it a rather new type of phobia compared to the others. 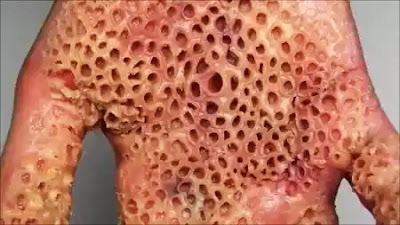 Although it is called the “fear of holes”, trypophobia is actually more likened to irritation and disgust because most trypophobic patients (like myself) on seeing irregular patterns or tiny holes feel like squashing or destroying such object or just the fear of having the phobia of holes on their actual skin. Below is our trypophobia test. Ensure you look at the images for at least 5 seconds and If you’re irritated by the following images, then you are most likely a trypophobic. The above trypophobia test images make goosebumps rise all over my body, itching sensation all over and one feels like squashing the darn images at times and other times just crawling under the bed and crying like a big fat crybaby. Those are the few among the many symptoms of trypophobia. 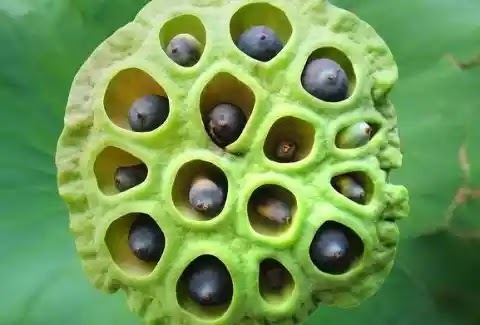 It is also observed that people get trypophobic symptoms by different type of images, for instance, a person might feel the symptoms of trypophobia by seeing the picture of holes on plants or non-living things and the reverse is the case for others. This is just a few of the many instances, however. The 2 main causes of trypohobia have been explained here. i. The brain sees a danger in such objects and wishes to keep them away example is the blue-ringed octopus whose poison is enough to kill a man. ii. Past experiences such as chicken pox, severe skin rashes and the likes may cause a permanent scar in the memory. iii. The sight of holes in the body caused by parasites or infections(image 3) can get a person scared of such ever happening to them. iv. A breed of octopus actually have suction tubes in their tentacles that are poisonous and thus, the need for survival at all costs arises the fear of holes, trypohobia. Others, unfortunately, like me just don’t have really have a known reason yet. 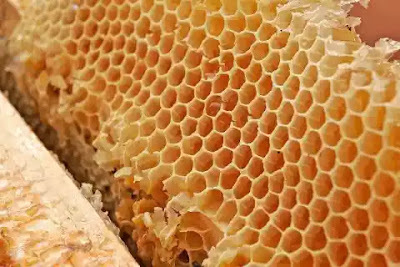 I mean, why would you be irritated by a sweet yummy honeycomb? Curing trypophobia might be easy or hard or both! As a victim, I came across some ways to cure trypophobia myself and so I made an article with all the gathered knowledge on “How to Overcome Phobia“. These methods have frankly helped up to this moment I’m writing this, to reduce but not YET completely eradicate the fear of holes I’m having( because I am not so persistent). Who knows, by the time you’re reading this, I might just have already completely overcome my phobia of holes. Other methods include the popular Cognitive Behavioural Therapy which requires the service of an expert. Always remember, however, that you can always avoid seeing trypophobic images making trypophobia one of the easiest avoidable phobias, how often do you see a bunch of irregular pattern holes anyways? To round it up, there is little we know today about trypophobia and in fact is not officially recognized as a phobia. Do you think you’re trypophobic? How did you feel after seeing those images? Kindly comment below, your response will highly be appreciated!